The mini lathes in my workshop are real workhorses; I use them at least 80% of the time. 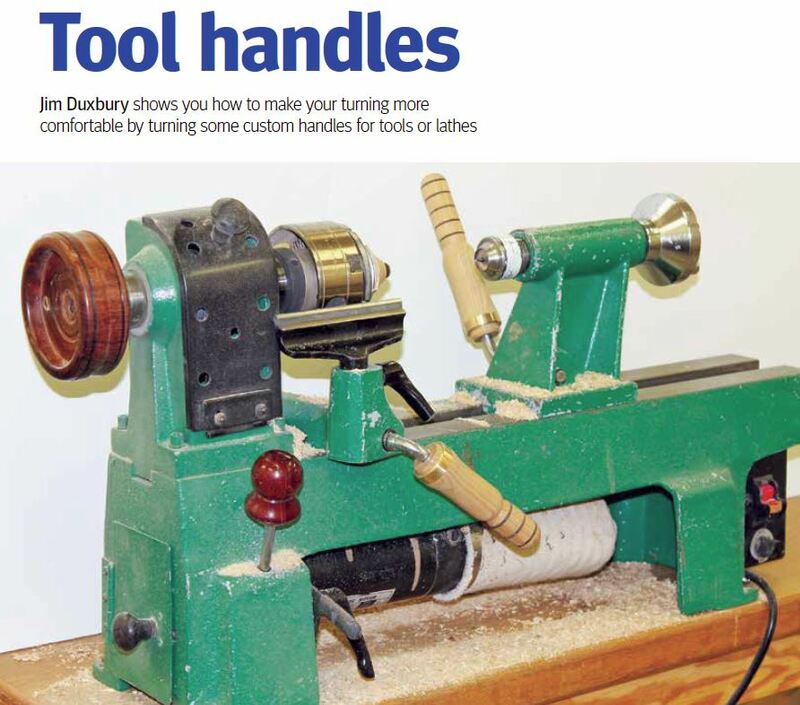 Small projects often require many different operations that necessitate changing drive centres, chucks, tailstock centres and wooden blanks frequently. Anyone who has worked on a mini lathe for an extended period of time will know what it is like to tighten the tailstock and banjo repeatedly. Pressing on those little, short and thin steel handles can actually hurt your hands after a while. Many turners use small mallets and extension bars to add pressure when needed. For me, that means another operation, another thing to pick up and they are not very convenient to use. My solution was to turn a wooden handle for each of these levers. This adds length for more leverage and diameter for a more comfortable grip. That super smooth, well-waxed wood feeling in your hands gives a warm sense of satisfaction every time you use a handle. It makes you want to turn something really first class.